Home 6 Years of Blogging blog Blog Awards Blogger King blogging Blogging Awards GMA Blog Awards GMA Network GMA-7 Kapuso Thank You #Kapuso GMA-7 Network for Two Blog Awards for Two Consecutive Years! 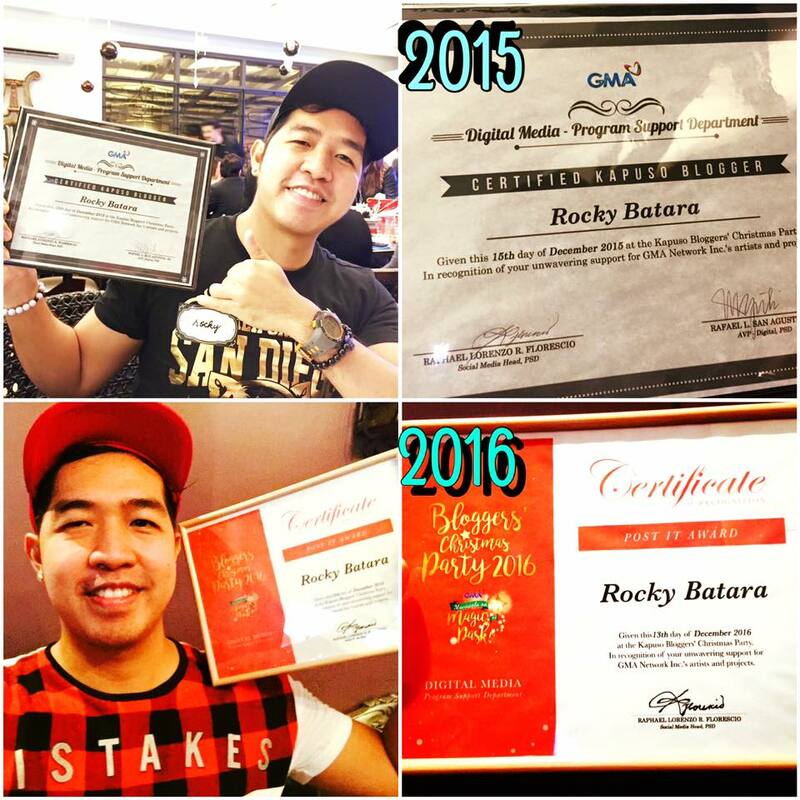 Thank You #Kapuso GMA-7 Network for Two Blog Awards for Two Consecutive Years! For two consecutive years, yours truly received two blogging awards from the Kapuso network, GMA-7. The two blogging awards were given during the annual Christmas Party for the Bloggers wherein different stars graced the event. Last 2015, the stars who graced the event were Ken Chan, Glaiza De Castro, Bentong, the T.O.P. band, and Favio Ide. This year, Ken Chan was also present who himself together with Lucho Ayala gave me the award. Also present on the event was Rich Asuncion and the "Meant to Be" hearrthrobs namely Ivan Dorschner and Addy Raj.